A decade ago wireless networks were found in coffee shops and businesses, but with the emergence of broadband technology, wireless has reached our homes. It's a great convenience that frees us from the chains of Ethernet cables when it works, and when it doesn't, it is a headache to deal with. 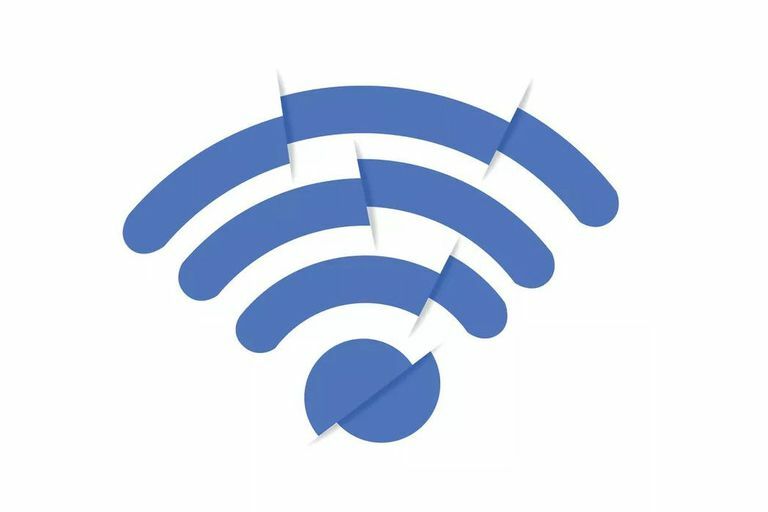 Fortunately, there are several ways to troubleshoot a weak Wi-Fi signal. Before you start tinkering with the router in an attempt to improve the speed of your Wi-Fi signal to your iPad, take steps to confirm the problem isn't with the iPad. The best way to find out where the problem exists is to connect to the wireless network from two different devices, such as a laptop and an iPad, from the same spot in your house. If your laptop has no trouble connecting but your iPad is stuck, the router is not the problem. If neither device can connect, the router is probably the problem. The first thing to do is to reboot the iPad by holding the Sleep/Wake button at the top until the display changes to a screen reading slide to power off. Lift your finger from the Sleep/Wake button and follow the directions by sliding the button. After the iPad is dark for a minute, press down the Sleep/Wake button again to power it back up. Rebooting your iPad usually solves Wi-Fi issues, but if it doesn't, you may need to reset the information the iPad stores about your network. Launch the iPad's Settings app and tap Wi-Fi in the left-side panel to locate your Wi-Fi network. The network you are using is listed at the top of the screen with a check mark next to it. If no network is listed, you are not connected to a Wi-Fi network. If the wrong Wi-Fi network is listed, that could explain the problem you are having with the Wi-Fi. Before connecting to the correct network, you may want to go through the steps to forget the incorrect network. To forget a network, tap the blue i with the circle around it just to the right of the network name. This takes you to a screen that shows the Wi-Fi information. To forget a network, you first need to join it. So tap the Join button. Once connected, tap the i button again. This time, touch the Forget This Network button at the top of the screen. Instead of connecting again immediately, reboot your iPad. This ensures there is nothing held over in memory before you connect again. When the iPad boots up, go back to Settings, choose your Wi-Fi network, and type the password. If the issue persists, reset the network settings or perform a full reset to factory defaults to clear out any remaining problems with the iPad. Both options are available at Settings > General > Reset. Resetting to factory defaults isn't as bad as it sounds as long as you back up your iPad first. Then, restore from that backup to come out the other side virtually the same. Reboot your router by either turning it off for a minute or unplugging it from the wall for a minute. It can take up to five minutes for the router to reboot and connect again to the internet. When it is finished, try connecting with your iPad. If this doesn't solve the issue, go through all the troubleshooting steps for a weak signal on your router. Use an app to test your internet speed and get a good idea of how fast it is running. If you are comparing it to a laptop, download Ookla's Speedtest app for the iPad and test it against the website version of Speedtest on the laptop. If the speed test shows a fast connection on your devices, the individual website you are trying to connect to may be having a connection problem. Try connecting to a popular website like Google to see if the performance issues persist. Move the iPad closer to the router and see if the signal strength improves. If the connection is speedy near the router but slows down in distant rooms, you may need to boost the signal strength. If you have strong signal strength but slow internet speed, contact your internet provider. The problem could be with the internet coming into your house or apartment rather than with the router itself. Are You Rebooting Your iPad the Right Way?